Didn’t do too much reading last week. I wanted to read but then I didn’t I either didn’t feel like it when I sat down or couldn’t find time. I did manage to get through two short books. 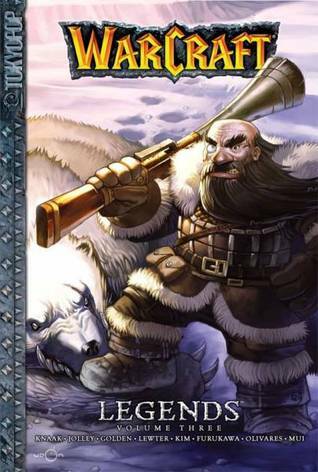 First was Warcraft Legends Volume 3. I’ve been enjoying this graphic novel series quite a bit and was happy to finally continue on with it. 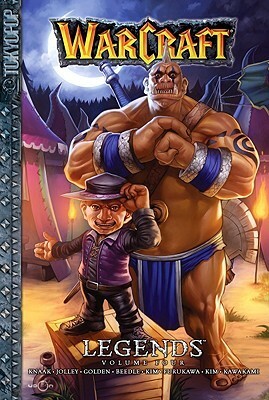 Then I read Warcraft Legends Volume 4 and like the previous volumes, I enjoyed it but didn’t love it. I am looking forward to continuing on with this, though there is only one volume left. I didn’t watch much last week either. I did watch the stream of the PBR World Finals each morning, and really enjoyed it. I also watched quite a bit of streams related to Blizzcon, watching all the announcements for World of Warcraft and they have me all kinds of excited. For Family Movie Night we ended up watching 10,000 BC, which was pretty good but not great. It was a pretty dull week. Mostly I was writing, which was a huge challenge. I usually have little issue writing when NaNoWriMo starts, but this year I’m struggling. Yeah, I’m hitting my word count goal, if not going over it each day so far, but I haven’t quite hit that writing groove where the words flow easily and quickly. No real plans for this. I will read if and when I want and choose a book based upon how I’m feeling that day. I will be watching the final video from the PBR World Finals today. I should try to watch a few things on the PVR that have started to pile up from the previous week. A good chunk of my time will be spent writing once again. This trend will continue throughout the rest of the month. Otherwise, I don’t have any real plans. Sounds like you had a busy week. Hope you get time to read and write. I should manage to have time for both this week if I play my cards right. I didn’t watch the world series — just followed bits and pieces of it via the internet. Come see what I’m reading. Sometimes all you need to watch is highlights, other times it’s nice to watch the whole thing.